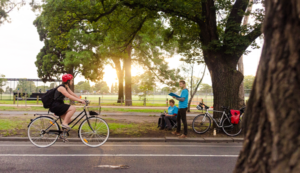 Volunteers will be taught the National Bicycle and Pedestrian Documentation Project method created by Alta Planning and Design and the Institute of Transportation Engineers by watching a 4 minute training video (linked below). 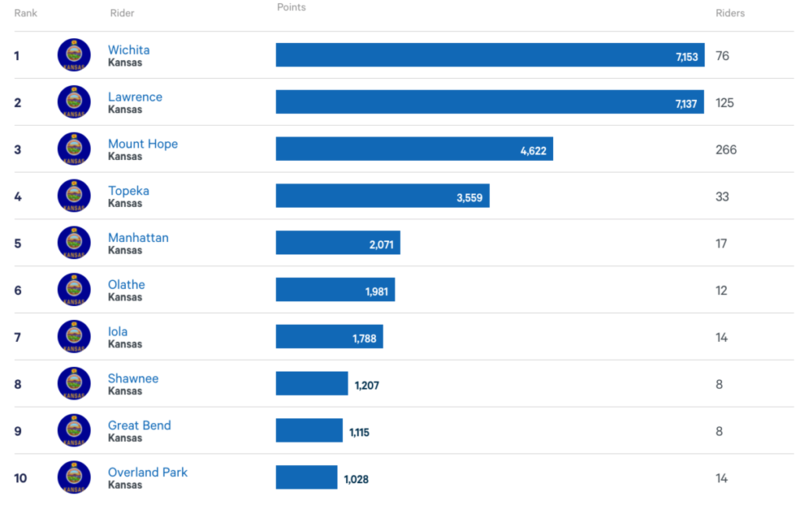 Data collected on bicycling and walking will assist city and regional leaders in estimating usage and demand for bicycle and pedestrian facilities. The counts will also be used to track the re gion’s progress on increasing the use of non-motorized transportation, strengthen grant applications to leverage additional federal funding for bicycle and pedestrian projects, evaluate existing projects, and help determine the location of future investments. Lawrence Schools pa rticipated in the 2017 Bike to School Day. National Bike to School Day provides an opportunity for communities across the country to join together to celebrate safe, active transportation and, where needed, to bring attention to necessary changes so more people can safely bicycle to more places. Participation in the annual event grows every year and as of today, over 2,500 schools in 49 states have registered events on the official Bike to School Day website, walkbiketoschool.org. The success of Bike to School Day is thanks to the enthusiasm and commitment of tens of thousands of students, parents, volunteers, school administrators, elected officials, and community leaders. Here's a great story 6 News Lawrence did on happenings here in Lawrence. 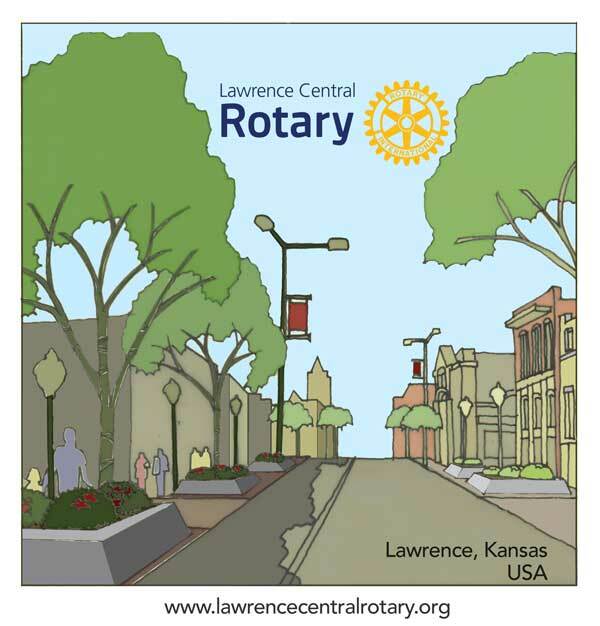 The City of Lawrence received great news and Lawrence Central Rotary (who sponsors the Ride Lawrence website) is proud to have helped the city to be able to achieve this designation! 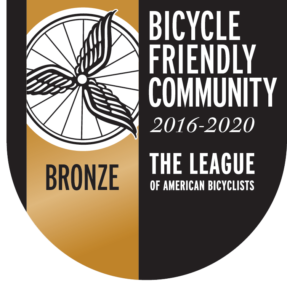 The City of Lawrence has been honored again as a Bronze Rank Bicycle Friendly Community (BFC). The City first received this designation in 2004 from the American League of Bicyclists. There are now 404 communities recognized in the U.S. as Bicycle Friendly Communities; this is Lawrence’s fifth successful application. 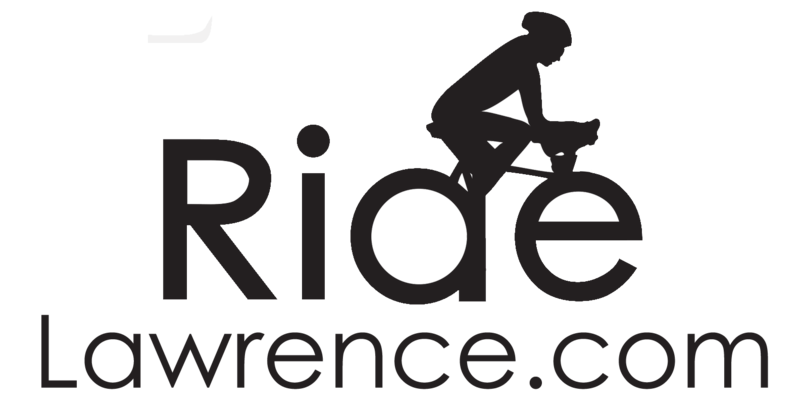 The Bronze level BFC award recognizes Lawrence’s commitment to improving conditions for bicycling through investment in bicycling promotion, education programs, infrastructure and pro-bicycling policies. 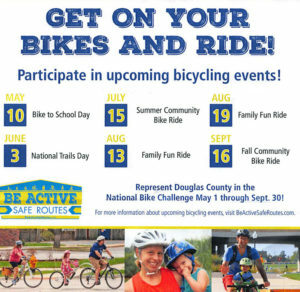 Lawrence-Douglas County Bicycle Advisory Committee members prepared the application utilizing information, such as data collected from bike/pedestrian counts, safety material, outreach efforts, and lane mileage. This year’s application featured Lawrence’s completion of a number of projects that will form the “Lawrence Loop”, a 22-mile paved off-street path around the city, the bicycle education provided by Lawrence’s League Certified Cycling instructors, the on-bicycle safety education at local elementary schools, and the recent commitment in the city budget for bicycling and pedestrian infrastructure improvements. 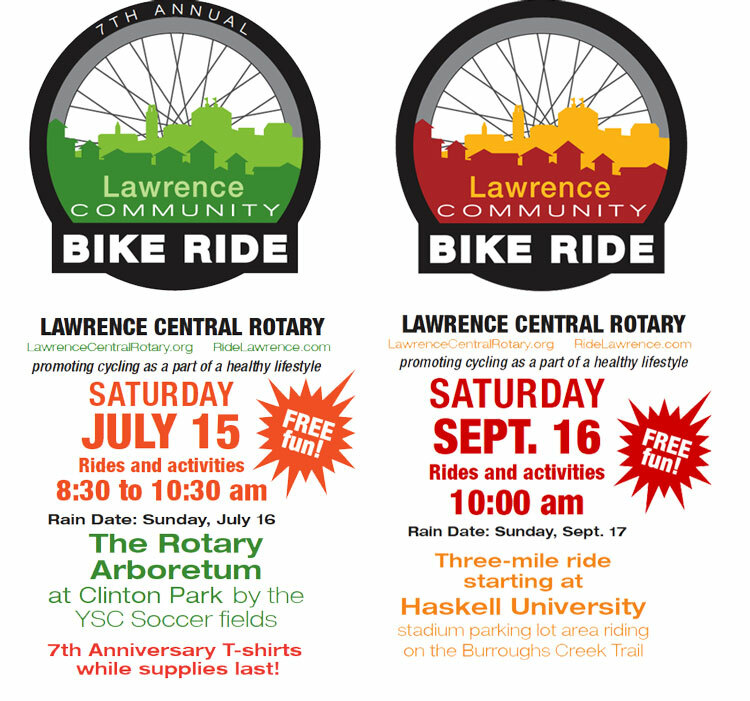 The Lawrence Central Rotary Club’s Community Bike Ride, Safe Kids Douglas County Bicycle Rodeo and Helmet giveaways, the Tour of Lawrence, the Lawrence Mountain Bicycle Club’s partnership with Parks & Recreation for the development and maintenance of the Lawrence River Trails trail, the National Bicycle Challenge, and 100 percentage of buses equipped with bike racks were also highlighted as part of the application process. By the numbers, Lawrence now has 16 miles of bike lanes, 9 miles of shared-lane markings (sharrows), 39 miles of signed bike routes, and 45 miles of paved shared use paths. Four Kansas communities have received the Bicycle Friendly designation: Lawrence, Topeka, Manhattan, and Shawnee. Find out more information online at www.bikeleague.org/bfa.